Gem Jade Stone has been used throughout history to draw love to the wearer. The holder can gain mutual love from the object of his/her affection. 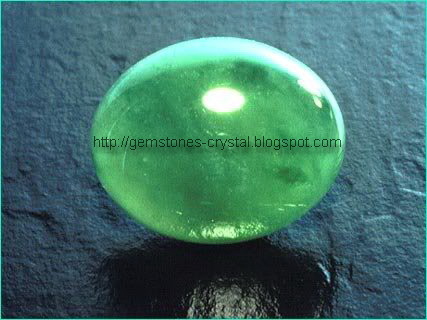 The gem stone Jade is also an aid in the visualization of prosperity. It increases your focus and reasoning as your subconscious mind reveals to you the right path to achieve your desired riches. 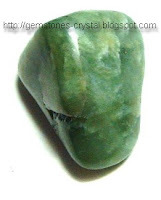 Jade has also been said to proector its holder against accidents and misfortune. Many amulets of protection contain jade, for example many varieties of the Middle Eastern/North African "Hamsa" amulet which protects against the evil eye. The soothing green color of jade is said to calm the mind, emotions, and spirit, relieving the underlying causes of many physical ailments. In this way, it is indirectly responsible for physical healing. Jade is one of the most basic gem stones which a well-rounded variety of uses and benefits. Everybody needs at least one piece of jade in their collection!